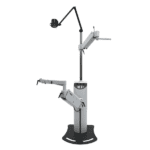 The 7800 ophthalmic Instrument Stand complements any Reliance examination chair to efficiently deliver diagnostic instruments. 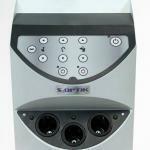 It is available with instrument wells (IC) or without (NC). 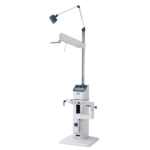 The S4OPTIK 1600-ST Ophthalmic distributed by Vision Equipment Inc. brings Elegant Simplicity to the exam room: with clean esthetics, exceedingly simple instrument positioning and strong, durable construction. 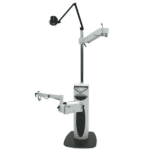 The S4Optik 2000-ST Ophthalmic Examination Chair brings Function Sophistication to the exam room; with clean aesthetics, exceedingly simple instrument positioning and strong, advanced functionality, and durable construction.